Although technology has now made its appearance in fashion, the way of presenting collections remained unchanged since 1885. Using 3D fashion design software, materials and designs can be simulated realistically. Due to this, designers can present their 3D collection in a virtual environment and produce the garments on demand afterwards. Second Sight is an example of how a fashion show of the future could look like utilizing 3D design software as inspiration. 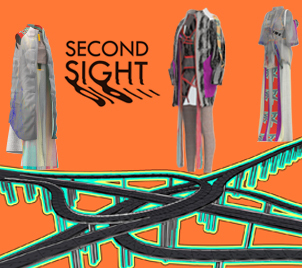 Second Sight is the first live virtual fashion show! Download here Second Sight for the Android.